Puffy Gets Angry is a children’s picture book written by Rich Pfeiffer and Susie Post Roberts. Puffy is a puffer fish with anger management issues. When he gets angry, Puffy puffs up into a round ball with spikes, scaring his school friends away as a result. This scares Puffy and he does not know what to do about it. The teacher labels Puffy as a problem maker. When Puffy’s mother teaches relaxation techniques through controlled breathing exercises to Puffy to calm him down when angry, Puffy is quickly labelled as a problem solver and loves the positivity that his change in attitude brings. Not only does his teacher praise him for being such a positive person, but his school friends stop running away when Puffy feels himself getting mad. I found Puffy Gets Angry to be quite an insightful book which teaches problem solving and how to nurture friendships. Not only does Puffy Gets Angry teach children how to curb their tempers, but also that being inclusive builds friendships instead of destroying them. With other children in the playground becoming afraid of Puffy, he knows that he must quickly learn to reel in his temper before he is all alone. Rich Pfeiffer and Susie Post Roberts have delivered a wonderful story which is beautifully illustrated throughout and which gives young readers food for thought in how to turn a frown upside down and make others smile. 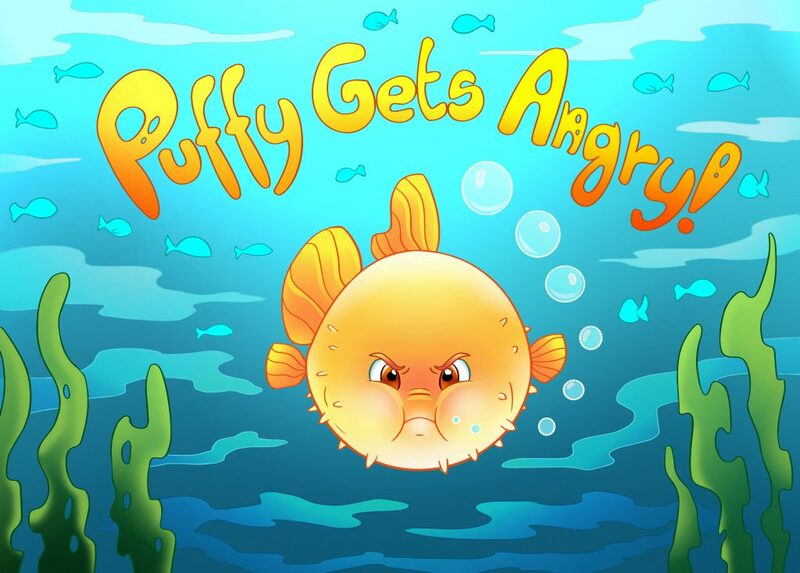 I thoroughly recommend Puffy Gets Angry to young readers aged 5-12 as it promotes better health through anger management.